We’ve known that you will see the Millennium Falcon from outside the attraction since the very first concept art released which shows the famous starship parked right outside. 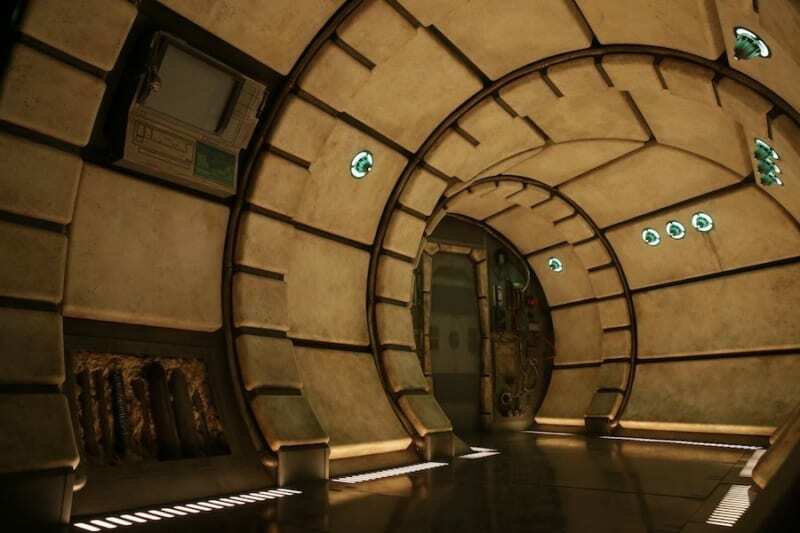 However this makes it seem like you will see the Millennium Falcon from the outside, right before boarding it. That would be really sweet and it would be an incredible moment watching the ramp lowered down as you then make your way up and into the Falcon! They could always say that the Millennium Falcon was lowered down and underground from its place outside, where you then board it. You will also have interaction with Hondo before going on your mission, it’s unclear though if that will be in the form of an Audio-Animatronic figure, using screens or even a live actor. I personally hope for the former and want to see something along the lines of the Shaman figure in Pandora and its impressive fluidity and realism. 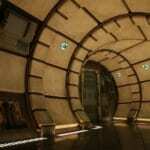 The Millennium Falcon will feature 7 “pods” each holding 6 guests, giving a total of 42 guests per ride. Inside each pod it will look and feel exactly like being inside the Millennium Falcon itself with dozens of levers and switches to mess with, all interacting with the environment. We also learned that the Millennium Falcon attraction will feature randomized missions and not the same one over and over again. That’s much like Star Tours, but this will probably be much more random, with different events happening within each mission. Even if you go to the same planet over and over again through different times riding it, each time will be different. 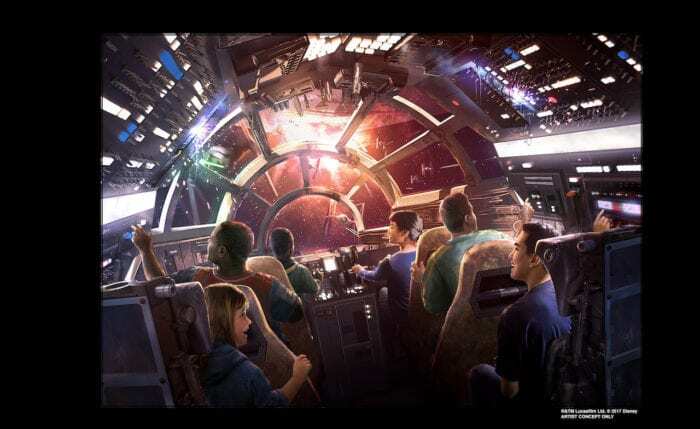 We also found out that the Millennium Falcon attraction will take place in between Star Wars Episodes 8 and 9, but as more Star Wars films are developed in the future, more missions can be added to go along with those timelines and stories, even being updated yearly. 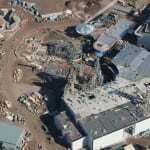 Does this news make you even more excited for the attraction? 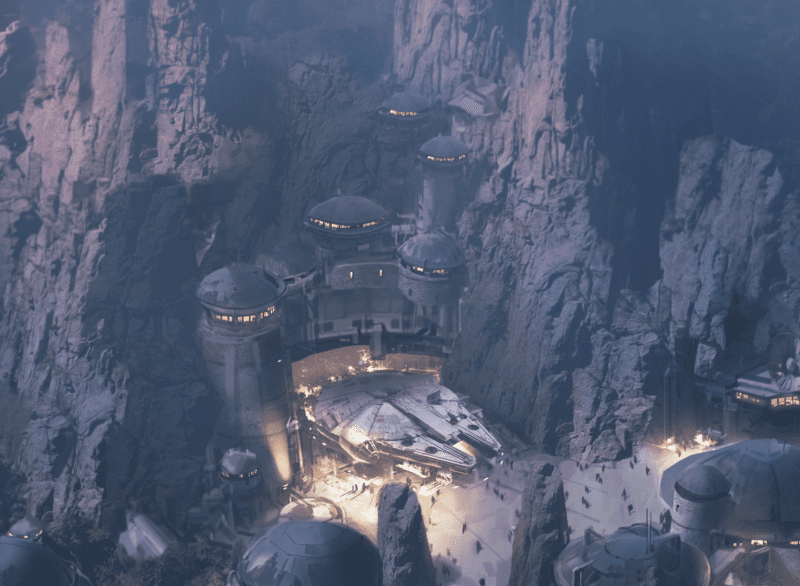 Do you like the idea of private Star Wars Galaxy’s Edge events?